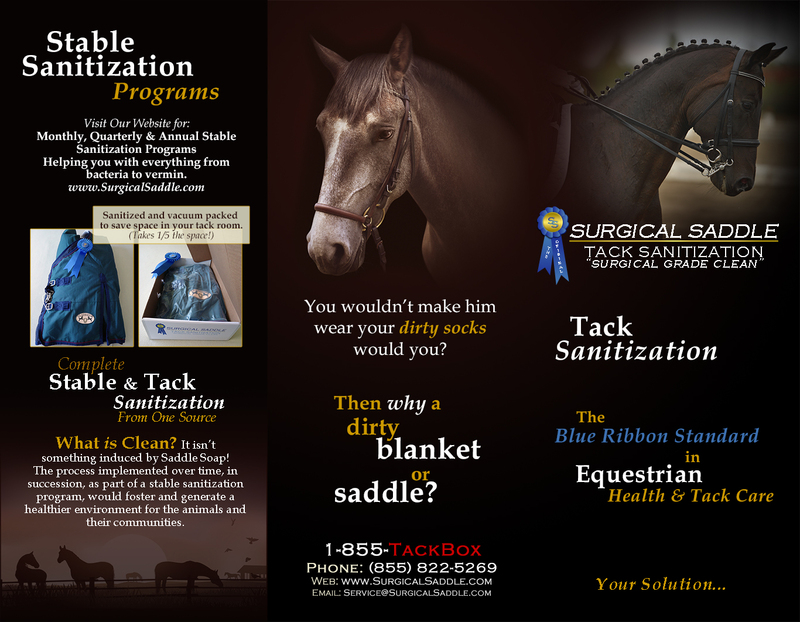 Surgical Saddle is a tack cleaning and sterilization service. Their revolutionary sanitation system cleans horse blankets, pads, boots, saddles and all manners of tack, removing mold, fungus, bacteria and viruses, not only from the surfaces of the items, but from their core, inside padding and all profile areas of the tack, seen and unseen. The process will sanitize items to surgical grade clean.